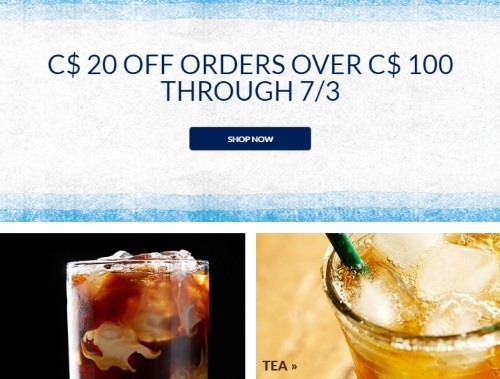 Starbucks is offering $20 off on any order over $100 in their online store! This offer is valid until July 3, 2016. No promo code is required, discount comes off at checkout. This can be applied to anything including coffee, tea, summer drinkware, equipment and more. Free shipping applies on orders of $75 or more. Click here to browse Starbucks Online.